A dear fellow blogger, Cameron of growing grace farm, wrote about a recent drive along the Blue Ridge Parkway with her daughter. Her post, What Tunnels Can Teach Us About Awareness, is a lovely metaphor about remembering to travel through life with a heightened sense of the world around us … and it sparked a childhood memory I’d like to share. Cameron’s mention of the Blue Ridge Parkway brought back a childhood memory of my dad. 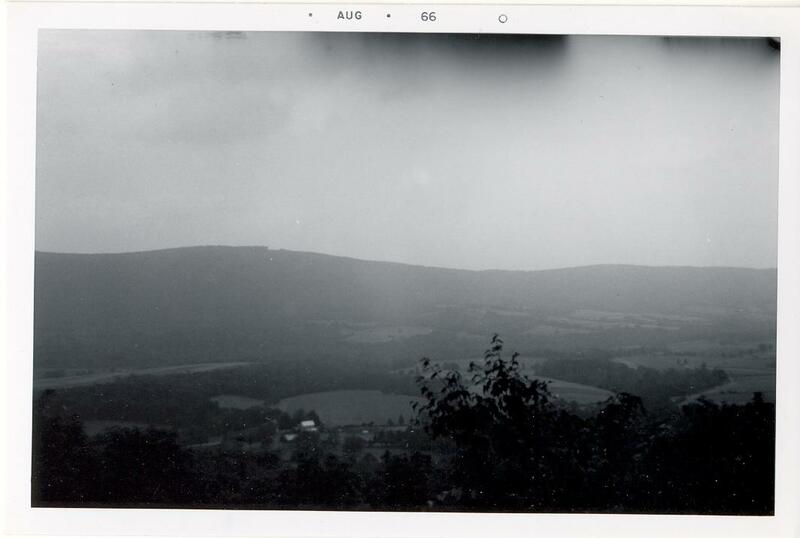 A 1960s family vacation found us on the Skyline Drive, winding along the Blue Ridge Mountains of Virginia, above the Shenandoah River, and through some of the most beautiful countryside in America. At one scenic overlook, Pop pointed out a pig farm down in the distant valley. The white farmhouse had a lazy curl of smoke rising from its chimney. In the sunshine and crisp, late summer air, a slight breeze brought a hint of woodsmoke and further evidence of the pigs far below up to our noses. It was a good, earthy smell. It told us of the family farm, teeming with life below. The Skyline Drive is over a hundred twisty miles long, and the speed limit back in 1966 was something like thirty-five miles an hour. But with so many sights to see along the way, Pop drove it slowly, with frequent stops for “Kodak moments”. It was late evening by the time we reached the northern end of the route in Front Royal, Virginia. We hadn’t planned ahead very well, with only a bag of butterscotch candy in the car, so we were all very hungry by the time we found a restaurant. I’d never seen grilled pineapple on ham before, but the smoke from the charring steaks didn’t sit well with my over-hungry, eight-year-old stomach, and I couldn’t eat much. The smokey restaurant didn’t bother Pop in the least, however, and that night he had what he said was one of the best meals he could remember. He had a huge Black Angus steak, but he talked about his baked potato, rubbed with rock salt, for the rest of the trip. When we got home, he looked forward to duplicating that delicious potato for himself. It’s odd how certain things stick in an eight-year-old’s memory for the rest of his life. My guess is that Cameron’s daughter will forever remember the drive along the Blue Ridge Parkway with her mom, and how all the dark tunnels through those thick, old mountains made her feel on that late summer day, way back in 2012. The unconditional love of companion animals, coupled with their unique ability to listen to everything from our superficial complaints to our darkest fears–without uttering a single judgmental word–is a beautiful thing. Here’s a brief look at just a few of the many animals that have touched the hearts of my family over the years. My dad grew up in rural Ohio, the youngest of several siblings. 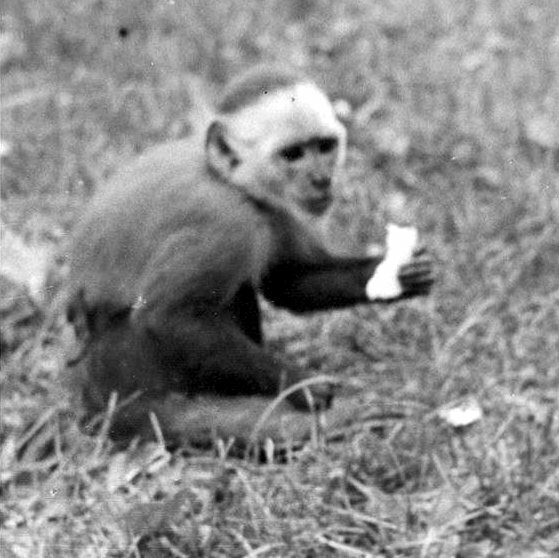 Along with the regular farm animals, horses, and hunting dogs, he and his brothers had a few more “exotic” pets. About once a month, a traveling salesman Pop described as a self-important little bald guy in a sweat-stained suit would come around to take orders for feed and grain. One particularly hot summer afternoon, the salesman walked, uninvited, into the barn to get out of the sun. From the hayloft, Jocko silently dropped onto the little man’s back and wrapped his long tail around the man’s pudgy neck. I’m sure my dad and his brothers were hooting with laughter as the salesman ran from the barn, screaming about the huge snake that was around his neck, about to strangle him. Rumor had it that there was also a six-foot-long alligator living behind the warm stove in the kitchen of that farmhouse, too. Someone had brought it back from Florida as a baby. Family legend? Maybe. Maybe not. I heard this story from my grandma, a wise and illiterate woman who emigrated from Romania to America in the early 1900s, babushka and all. The old farmer that lived across the road raised pigs to supplement the family income during the Great Depression. Every year, the farmer would sell two pigs to the local butcher, and every year, he would cry his eyes out for three days afterwards. Grandma thought he was a silly man, but I think those pigs must have listened to the old farmer’s darkest fears. If you’re interested, The Dictionary is a short story about my mother growing up in Grandma and Grandpa’s house with only two books, and you’ll know why the house I grew up in looked a lot like a library. These two horses put in their time on my other grandparent’s farm, plowing and pulling wagons. My dad grew up with them, and he loved them dearly. A few years after he’d gotten married and moved to his own house, Pop brought my mother and my older brother by the farm for a Sunday family dinner. He parked his pride and joy, a shiny black 1952 Chevrolet, in the yard, under the shade of a big tree near the house. After dinner, my brother and his cousins went outside to play, while the men smoked and drank coffee, and the women chatted in the kitchen and washed the dishes. It was early evening when Pop walked out to his car, and the low sun highlighted the deep scratches running the length of the Chevrolet’s hood. As the story goes, Pop started yelling for my brother, sure that he was somehow responsible for the damage, and ready to mete out a harsh punishment. 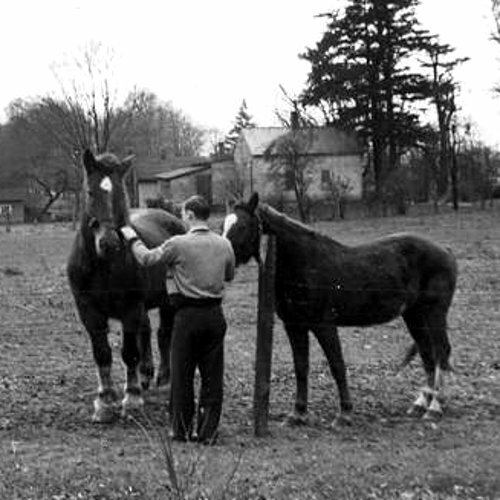 Just as my brother came skidding to a halt next to him, unaware that he was in deep trouble, Molly reached her head over the fence next to the car, and continued to scratch her itchy chin along the hood, the rivets in her halter peeling paint off with every stroke, as Wilbur stood beside her. Confused, my brother watched the expression on Pop’s face go from dark to light, as he started to laugh. He was still laughing when he walked over to hug Molly and Wilbur’s necks and scratch Molly’s chin, a safe distance away from the hood of his favorite car. So now you know that it’s no coincidence that shaggy little horses named Wilbur and Molly play a prominent part in the story of An Irish Miracle. I only said that any resemblances to actual people were purely coincidental. Some of the horses? Well . . . not so much. 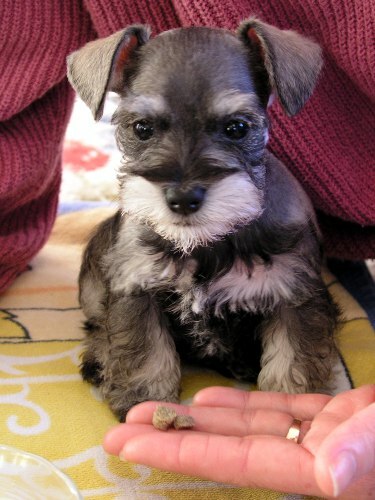 There have been a lot of Miniature Schnauzers in our family over three generations, but Cricket was the first. I was a first-grader when we brought her home, supposedly a puppy for me. 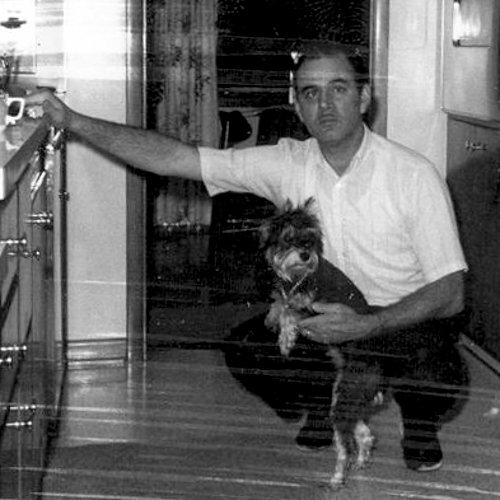 But it wasn’t long before we all realized that she was my dad’s dog. He would make her wait by the garage when he went to the mailbox, and when he came back, she greeted him like he’d been gone for half her life. Cricket rode everywhere with Pop in his pickup truck, her head poking out the window right below the pipe clamped in his teeth. When he got out, he taught her to wait on the seat. When he clapped his hands, she would launch herself straight into his arms. On the rare occasions it happened, Cricket hated to be left alone. To this day, I still don’t know how she reached those high curtains, but they were shredded and tattered when we got home. Pop has been gone for over thirty years now, although I still hear his voice with a hello or a word of encouragement from time to time. Cricket has been gone even longer, but I’ll bet she’s still riding on Pop’s lap, with her fuzzy face in the breeze. And I’ll bet that pipe is still clamped in his teeth, too. 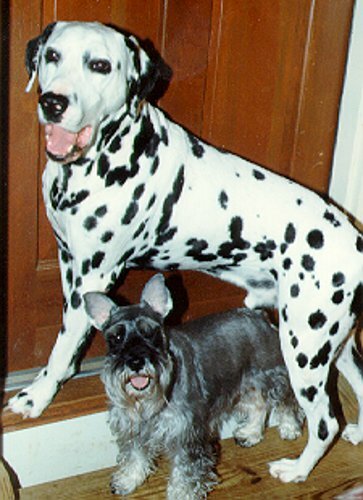 Yankee Joe was a sweet, seventy-pound Dalmatian (all ‘a’s, no ‘o’s) and big brother to Corky, my immediate family’s first Schnauzer. At fifteen pounds, Corky was the boss, and Yankee was happy to go along. His joy in life was to run at top speed until something solid got in his way. He took my wife lawn-skiing on several occasions. 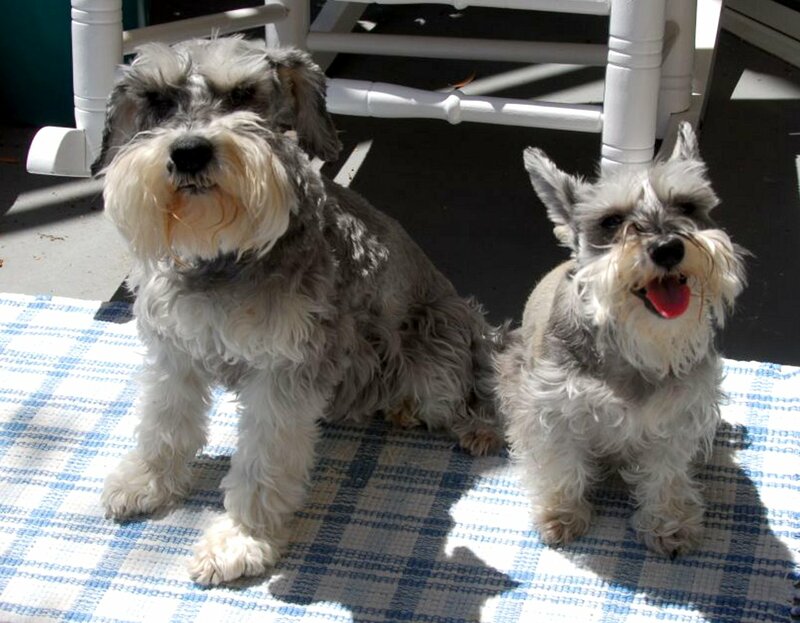 An unlikely pair, Corky and Yankee got along famously, despite their size difference. We adopted Yankee Joe from a Dalmatian kennel owned by Karl and Barbara, and in turn, they adopted us. (As a gift, I photographed their daughter’s wedding, even though I was more nervous than the lovely young bride.) 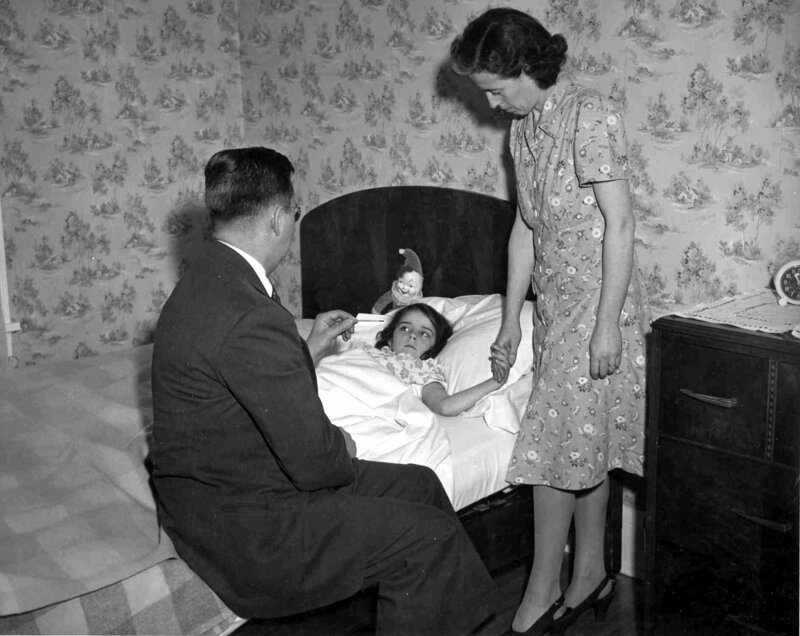 Karl and Barbara invited us to bring nine-month-old Yankee Joe and go with them to the Dalmatian Club of America’s national show in Fort Collins, Colorado. Four-hundred-and-fifty spotted dogs in one extremely well-run Holiday Inn was a sight I will never forget. I won’t ever forget the eager-to-please, sit-in-your-lap Yankee Joe and his little-tough-guy buddy, Corky, either. Bandit is around thirteen years old now, still very healthy, although going a bit deaf. He’s the sweetest, most gentle Schnauzer I’ve ever seen. Three years ago, the amazing veterinarians and students at the University of Georgia Small Animal Hospital pulled his little behind out of the fire for us, after ten days in intensive care. The clinic was ninety miles from our home, and the vet or the student taking care of him called me twice a day, every day, without fail. They took as good a care of me through that ordeal as they did my sad little Bandit, and for that, I am forever grateful. I could go on and on about these two, who listen to me, and never judge me, but if you want to, you can read more about them in my post entitled My Writing Companions. 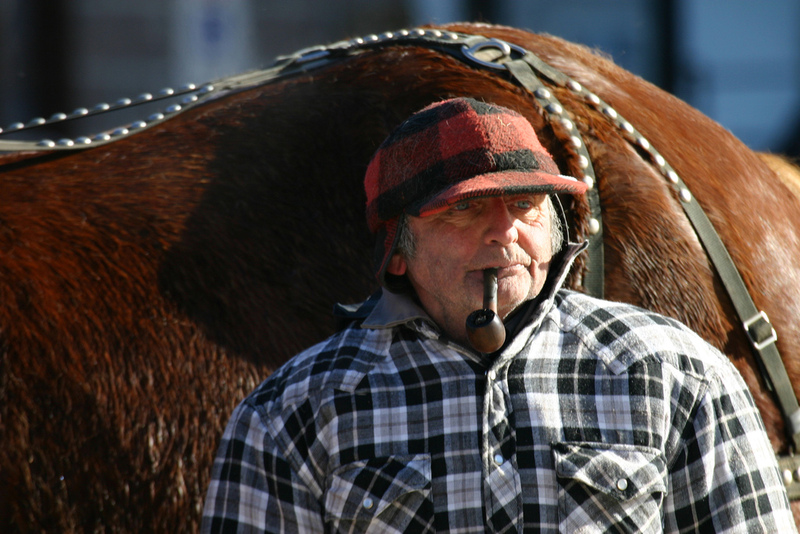 The strong bond between humans and horses is a recurring theme in the story, An Irish Miracle. As you can see, we Mahans love our animals. If you read this entire post, I know you love yours, too. Please feel free to comment and leave a story about a special animal companion in your life. Good night, Nippy, Cricket, Gabe, Muffin, Bucky, Daisy, Yankee Joe, and Corky. I love you guys.